$3,740,000 – Negligence – Wrongful death occurring on a construction site. $2,875,000 – Truck Wreck – Wrongful death occurring when a tractor-trailer struck a car from the rear. $2,750,000 – Product Liability – Two men were killed when the bucket truck in which they were working turned over, throwing them 70 feet to the ground. The bucket truck was defective because it was not equipped with a safety device requiring the outriggers to be deployed. $2,250,000 – Truck Wreck – Wrongful death occurring when a tractor-trailer ran a red light and struck a car from the side. $1,750,000 – Negligence – A worker sustained a head injury was struck by a large antenna that fell from a cellular tower. The defendant failed to properly secure the antenna to the tower the previous day. $1,500,000 – Negligence – A man sustained a broken leg when he fell from Defendant's truck on a job site. $1,100,000 - Negligence - Two workers sustained broken bones during a film site accident. $1,100,000 (policy limits) – Negligence – Wrongful death occurring from a car wreck caused by a drunk driver. $1,000,000 (policy limits) – Negligence – Paralysis occurring from an injury on business property. $1,000,000 – Inadequate Security – A man lost his eye when he was stabbed by an assailant. A nearby security guard watched the attack and did nothing because he thought they were engaged in horseplay. $800,000 – Inadequate Security – A woman was abducted from a shopping center parking lot and sexually assaulted. The property owner was negligent for failing to provide adequate security on the premises. $775,000 – Product Liability – A worker sustained a back injury when an aerial lift lost its brakes and crashed as he was operating it. $750,000 – Product Liability – A worker was killed when an aerial lift malfunctioned and crushed him against a ceiling. $750,000 – Auto Wreck – A driver sustained neck and back injuries when a commercial van struck her from the rear. $748,572 – Product Liability – A man was killed when a portable gas can exploded due to a defective and dangerous design. $725,000 - Auto Wreck - A man sustained broken bones when he was knocked over by Defendant's car. $655,000 – Truck Wreck – A man sustained a back injury requiring two surgeries after he was struck by a truck that had run a stop sign. 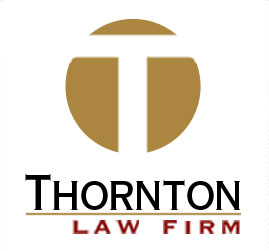 $650,000 – Product Liability – A woman was killed when her seat belt failed during a car crash. $600,000 - Negligence - A man sustained a neck injury when a loading dock door struck him. $525,000 – Negligence – A worker sustained a back injury when his crane turned over after being struck by a train. $500,000 – Negligence – A construction worker sustained a pelvis injury when a pipe rolled over him on the job site. $400,000 – Truck Wreck – A driver sustained nerve damage to her arm when a truck turned in front of her and caused a collision. $400,000 (policy limits) – Auto Wreck – A passenger was killed when the driver lost control and drove over an embankment. $365,000 - Negligence - A man sustained burn injuries when Defendant negligently repaired his car. $350,000 – Negligence – An employee sustained a back injury when his work chair turned over because it was defective. $325,000 (policy limits) – Auto Wreck – Wrongful death occurring when a driver struck a car from the rear. $320,000 – Product Liability – A defective tree pruner caused a man to lose his balance and fall, breaking his ankle. $310,000 – Product Liability – A defective press crushed a man's hand. $300,000 – Truck Wreck – A driver sustained a broken leg when a truck turned in front of him and caused a collision. $300,000 (policy limits) – Negligence – Injury occurring from negligence of a moving company. $300,000 (policy limits) – Dog Attack – A man sustained a broken leg when two dogs chased him in his neighborhood. $285,000 (policy limits) – Auto Wreck – Wrongful death occurring when a driver lost control and his passenger was killed in the wreck. $250,000 – Product Liability – A rental truck lost its brakes and rolled over a man’s foot, breaking his ankle. $250,000 – Auto Wreck – Jury verdict when two people sustained injuries when a driver pulled in front of them. $250,000 – Auto Wreck – A driver sustained a shoulder injury when a driver struck him from the side. $250,000 (policy limits) – Auto Wreck – A driver sustained injuries when a driver struck her from the rear. $250,000 (policy limits) – Auto Wreck – A driver sustained multiple injuries when a driver struck her from the side. $240,000 – Product Liability – The side gate of a rental truck was not assembled properly and fell while a man was using it, causing the man to fall and break his leg. $235,000 – Negligence – Store employees failed to properly assemble a new bicycle. A woman bought the bike and had an accident when she rode it for the first time, breaking her leg. $225,000 – Product Liability – An automatic door at a grocery store closed on a woman, knocking her down and causing a broken arm. $225,000 – Truck Wreck – A driver sustained multiple injuries when a truck driver pulled in front of her. $225,000 – Truck Wreck – A driver sustained multiple injuries when a truck driver struck her from the rear. $225,000 – Auto Wreck – A driver sustained a neck injury when a driver struck her from the side. $215,000 – Negligence – A warehouse dock worker sustained a broken leg when a truck driver pulled away from the dock while the worker was still loading the truck. $210,000 (policy limits) – Auto Wreck – A driver sustained a neck injury when a driver struck him from behind. $210,000 – Motorcycle Wreck – A motorcyclist sustained a leg injury when a driver struck him head on. $200,000 – Auto Wreck – A driver sustained a back injury when another driver ran a red light and caused a collision. $200,000 – Breach of Contract – A company breached an employment contract and was held liable for salary and commissions. $190,000 – Auto Wreck – A passenger sustained a wrist injury when another driver struck her from behind. $190,000 – Auto Wreck – A driver sustained a back injury when another driver struck her from behind. $190,000 – Auto Wreck – A driver sustained a shoulder injury when another driver struck him from the side. $180,000 – Bus Wreck – A driver sustained an arm injury when a bus driver merged into her from the side. $165,000 – Negligence – A worker sustained a burn to his arm on a construction site. $150,000 – Truck Wreck – A driver sustained a shoulder injury when a truck driver struck her from behind. $150,000 (policy limits) – Auto Wreck – A driver sustained a spinal injury when a DUI driver struck him from behind. $150,000 – Premises Liability – A restaurant customer aggravated a back injury when he slipped on wet stairs that had been recently mopped.